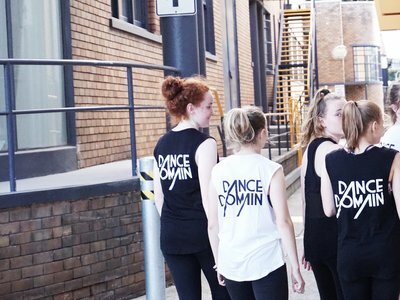 Dance Domain is a refreshing dance school in Sydney’s Inner West. We don’t believe in expensive fees and uniforms or barely-there costumes. 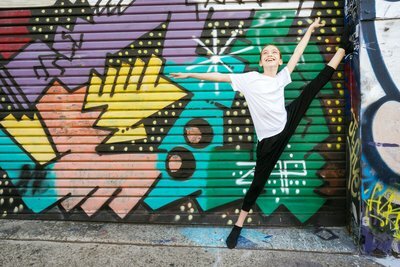 Our dance classes provide a friendly, no-pressure atmosphere that nurtures creative expression and allows kids to be kids all the while fostering a love of dance and learning that will last a lifetime. 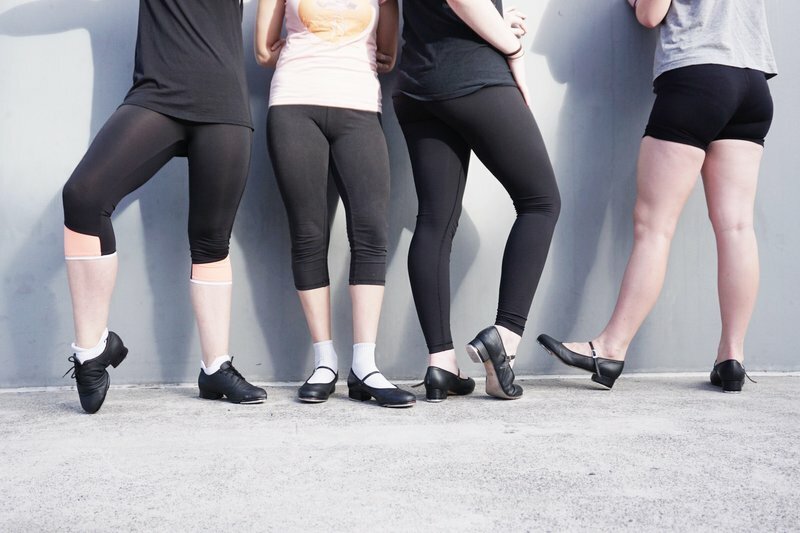 We steer clear of tacky and outdated music and dance moves (goodbye lycra and leg warmers!!) and our end of year concerts are affordable, stress-free (that’s right, no sewing costumes!!) and full of great popular and alternative music. 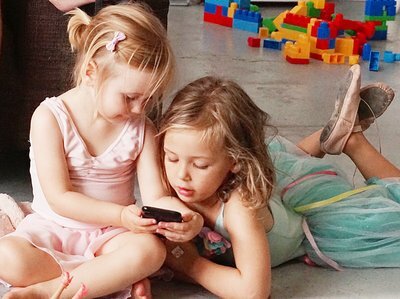 We're revolutionising what it means to take dance classes as a preschooler, school kid, or adult. 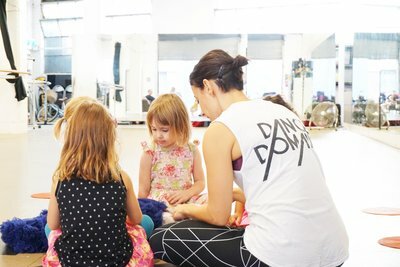 Our classes are taught by a fun, young and talented team that have a passion for teaching and share the belief that dance is powerful and should be available to everyone. Our great location and warehouse style format makes for quick and easy drop-offs and pick-ups… every parent’s dream! But don’t worry, there’s plenty of parking and a cafe on site too! Built with the students in mind, the studio offers a vibrant and safe space where kids can relax and feel right at home. 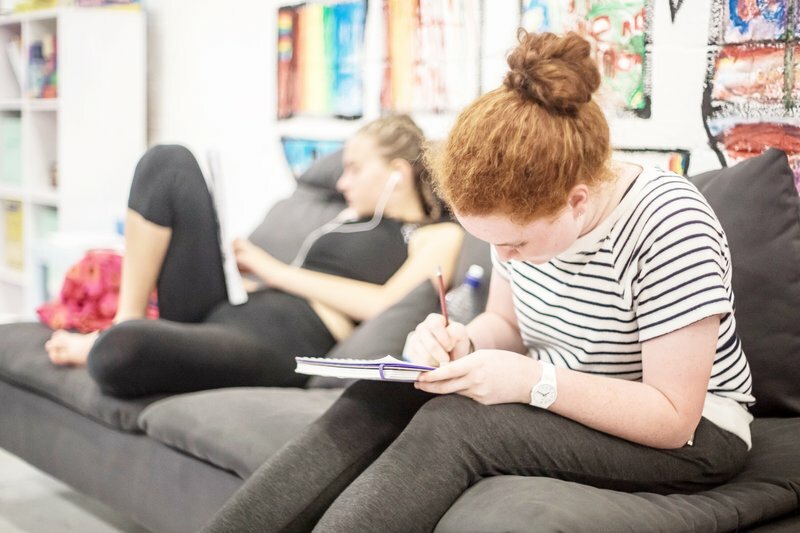 From what has affectionately been labelled ‘the couch garden’, to the paintings from our school holiday workshops that adorn the walls, or the games, puzzles and books for students and siblings to use while they wait, Dance Domain is truly a space where our students and families feel right at home from the start. 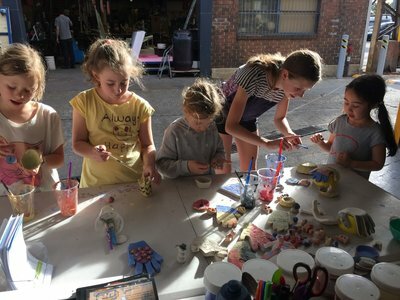 Our popular school holiday workshops get kids moving and the creative juices flowing during the school break – no more bored kids! Even better, with early drop-off and free aftercare, we really make life easy for working parents and busy families. We offer a huge range of styles that cater for a range of personal preferences. 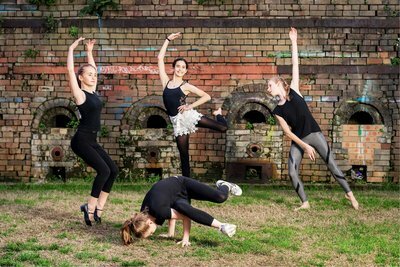 Suitable for students aged 6-18, our classes are fresh, inspiring and engaging. 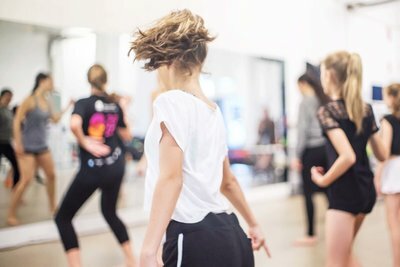 All of our classes are modern and progressive, incorporate a mix of musical genres, and draw on progressive approaches to teaching and learning dance. 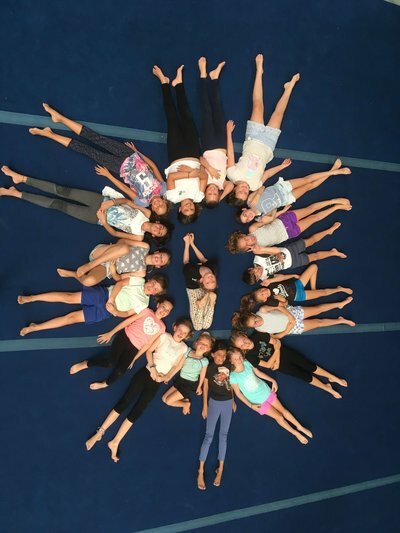 Unlike other adult classes in Sydney, you’ll be happy to hear that our classes are definitely a genuine adult class, with ages ranging from 25-60. And no, you’re definitely not too old! Want to know more about upcoming classes and learn steps and combos to try at home? JOIN OUR ADULT DANCE CLASSES FACEBOOK GROUP! There’s no need to register, just come on down and get moving! Whether your child is in Kindy or in high school, we offer a range of workshops to get kids moving and creating in the school holidays. Find out why our workshoppers leave happy, exhausted (yay!) and excited to come back the next day! Our Active Arts Holiday Workshops include FREE aftercare till 5pm – perfect for working parents! Rockclimbing, Dance, Trapeze , Jiujitsu, Claymaking and more. 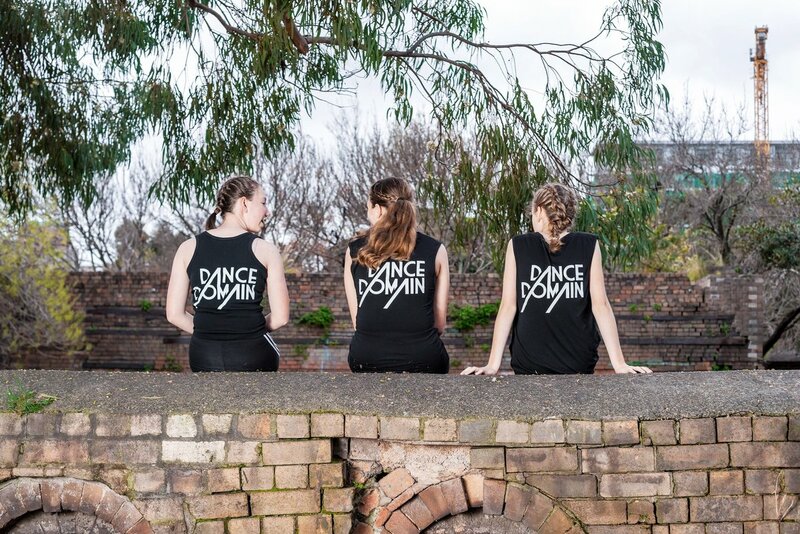 Dance Domain offers free studio hire to students that are studying Dance or Drama at school to rehearse their assessments and HSC practicals to encourage creativity and excellence in the arts. 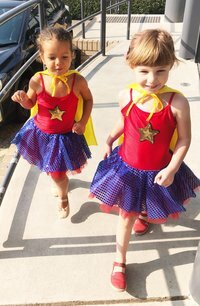 We also offer free costume hire to students for everything from dress-up parties, Halloween and school performances. Love performing? 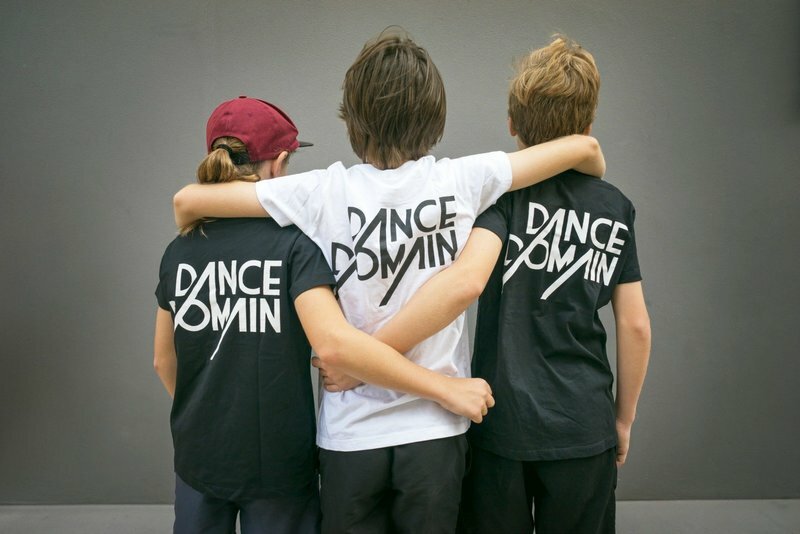 Why not become a member of one of the Dance Domain Performance Groups? Unlike other studios that make students audition for troupes, Dance Domain believes that everyone has what it takes to shine on stage. We focus on building confidence, learning valuable team building skills and polishing up on technique whilst having a great time. Sound amazing and like your idea of what dance should be? Then get in touch! 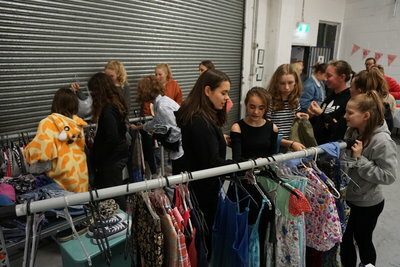 An initiative dreamed up by one of our very own students, DD SRC is a chance for students to get more closely involved in the decision-making process and help make the studio an even better place for our students. We’re all about giving students opportunities and working collaboratively, so as soon as we heard the idea we jumped on it! Our DD SRC reps for 2017 will be dreaming up new events, supporting charity drives, assisting with event set-up and management, and acting as a point of communication for all students, teachers, and team members. In doing so, they’ll improve their leadership, teamwork and communication skills and get valuable experience in project management, event management, and business strategy. At the end of each year, they’ll receive a written reference outlining their role and responsibilities which they can include in future school and job applications. WELCOME TO OUR DD SRC REPS FOR 2018. WE CAN’T WAIT TO SEE WHAT YOU CREATE!